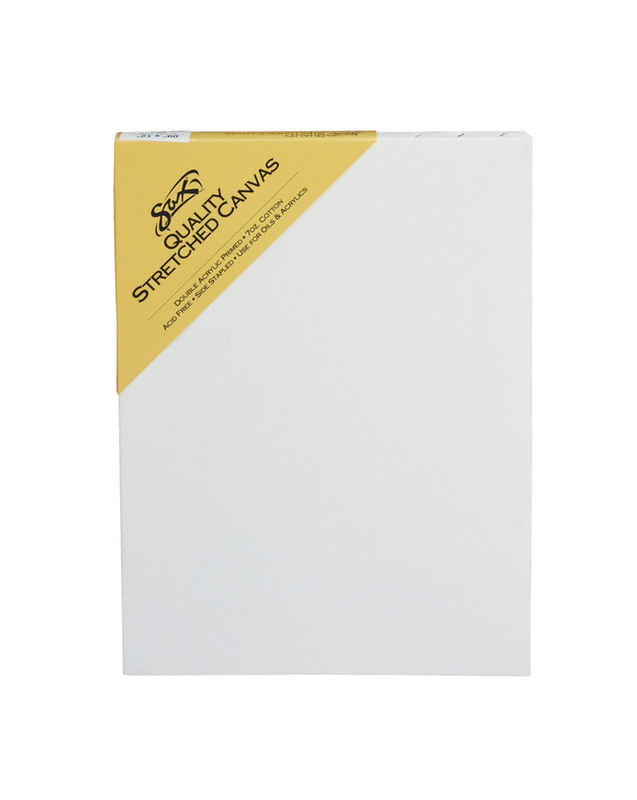 This sturdy, quality pre-stretched canvas from Sax lets you perfect the art of painting (without the hefty price)! Surface is double primed with clear acrylic, and is ready to accept acrylic colors or oils. 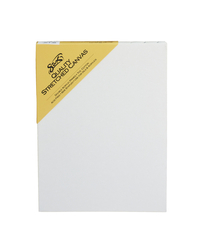 Painting is made simple with Sax's Quality Stretched Canvas. Medium-weight 7 ounce natural cotton is tightly extended over classic keyed wooden frame and stapled to the side, providing balanced tension across the entire surface. Surface is double-primed with clear acrylic and a medium grain texture to provide an optimal surface for colored acrylic paints or oils. Paint will not bleed through to the back. Canvas can be hung for display if you put in proper hanging hardware on the back (not included). Acid-free for archival use. Measures 9 x 12 inches.